The iCOLLEGE stalwart De-Jay Terblanche will be playing in his record equalling 183rd game for the Union when the face the Blue Bulls at the Mbombela Stadium on Saturday afternoon. The record was set by flanker Francois Rossouw between 1991 and 2000. 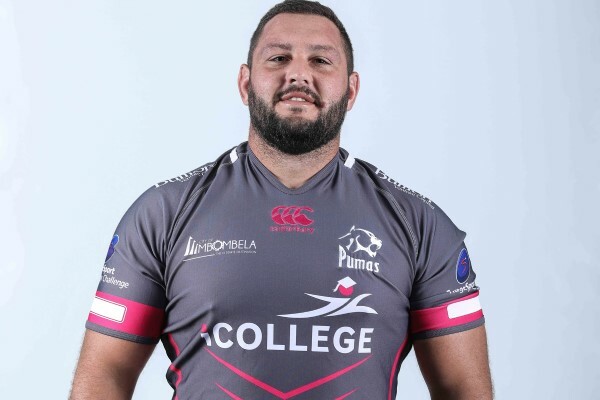 Terblanche is also on the verge of setting a South African record by a prop forward for one Union which is currently held by Connie Botha, the former SWD prop on 1991. Puma captain Hennie Skorbinski is back at the helm for the SuperSport Challenge quarter-final. Skorbinski and Trompie Pretorius are back in the midfield with Morné Joubert replacing JP Lewis. Springbok flanker Hilton Lobberts starts on the flank while there also two changes at lock. Stefan Lindsay and Cameron Lindsay are locking the scrum. iCOLLEGE Pumas vs Blue Bulls: Devon Williams; Morné Joubert, Trompie Pretorius, Hennie Skorbinski ©, Ruwellyn Isbel; Christopher Smith, Stefan Ungerer; Willie Engelbrecht, Hilton Lobberts, Jeandré Rudolph, Cameron Lindsay, Stefan Willemse, Marné Coetzee, Marko Janse van Rensburg, De-Jay Terblanche. Reserwes: Frankie Herne, Simon Westraad, Hugo Kloppers, Brian Shabangu, Reynier van Rooyen, Justin van Staden, Henko Marais. Website developed by Blue Cloud Design.